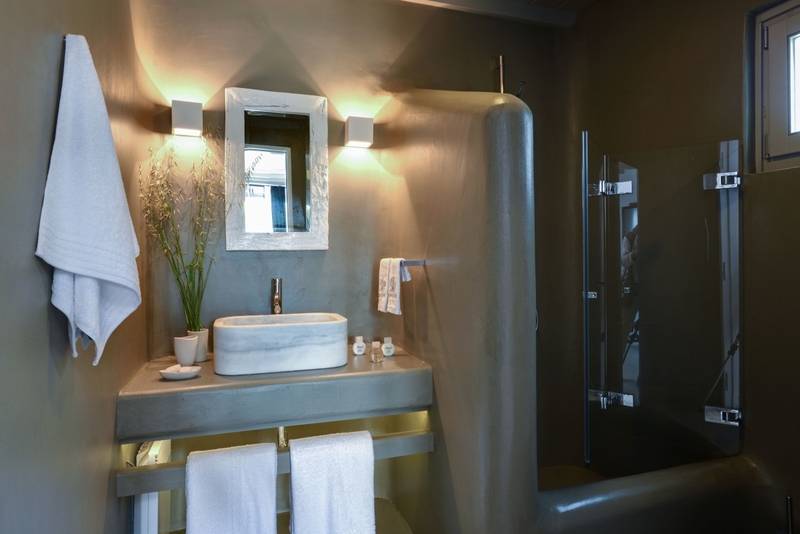 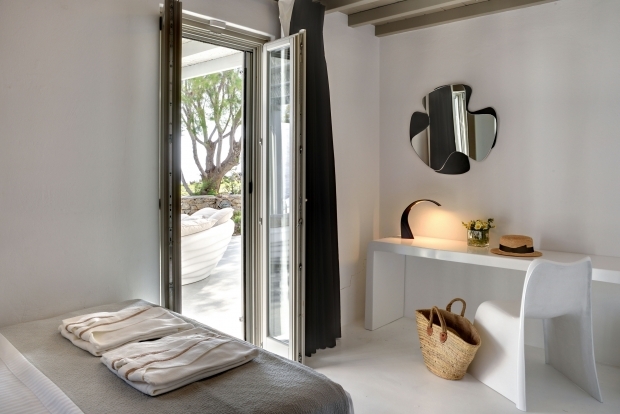 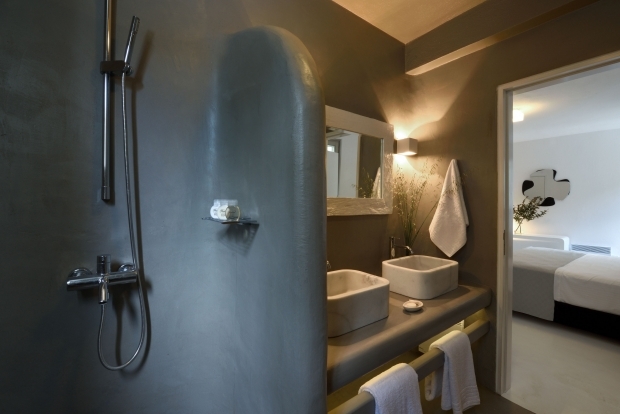 Beautifully nuzzled near the scenic village of Ano Mera close to the dazzling Kalafatis beach in Mykonos Island Villa Dafni is a tranquil haven of relaxation exuding luxury and elegance. 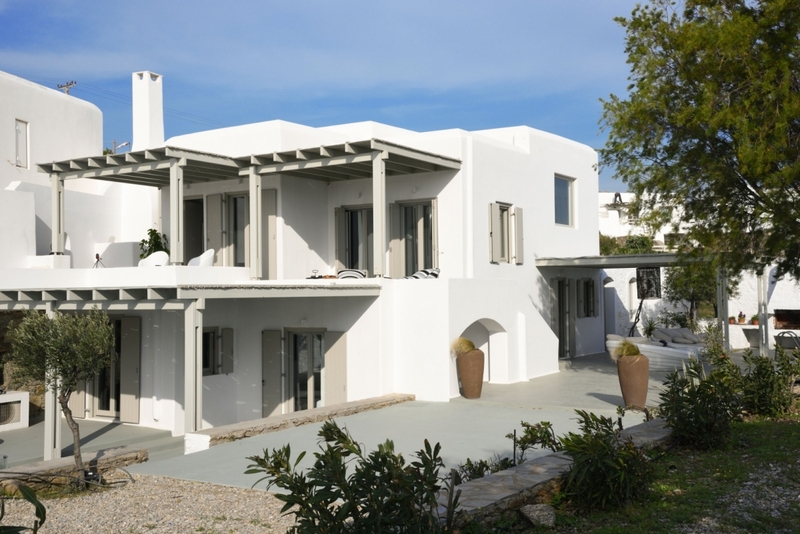 This enchanting villa captures the essence of the island’s spirit in its dazzling white interiors and the natural white stucco facades while offering a warm welcoming environment for tranquil escapes and prestigious holidays. 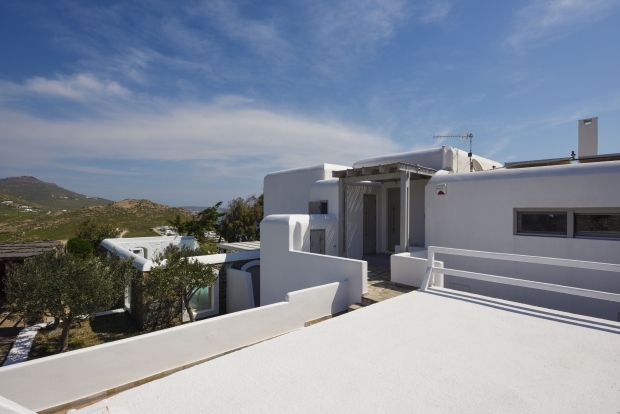 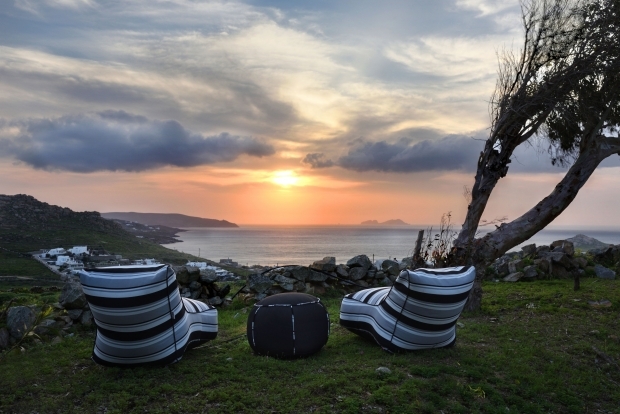 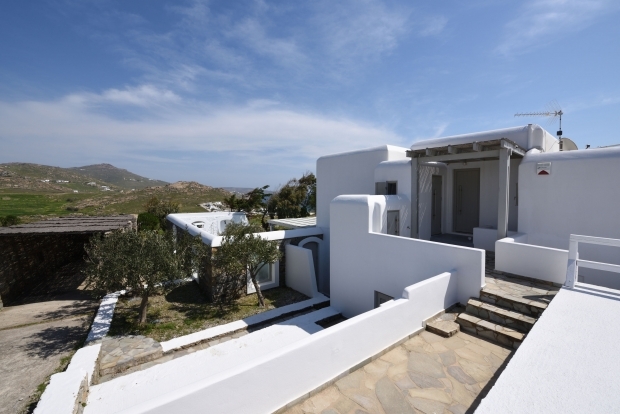 Its prominent location up on the hillside offers superb views to the emerald waters of the sea and the captivating natural landscape of Mykonos. 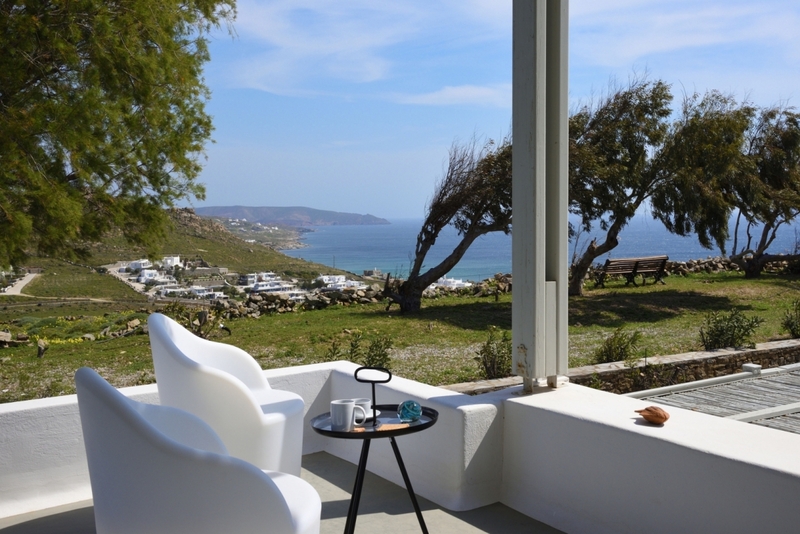 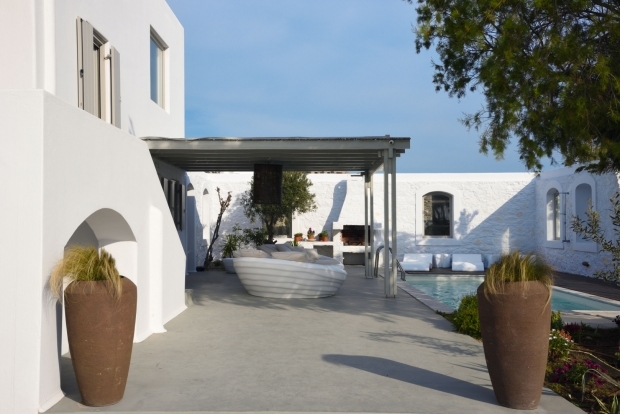 Embraced by the stunning scenery villa Dafni offers a heavenly sea view retreat for luxurious and memorable holidays in the captivating island of Mykonos. 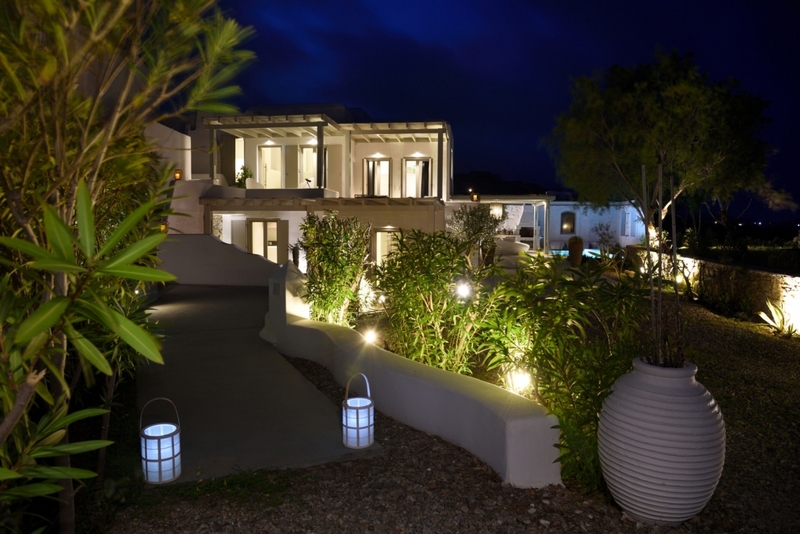 From the fragrant rosebay filled sandlot visitors can reach the main entrance and continue through the hallway passing the reading room. 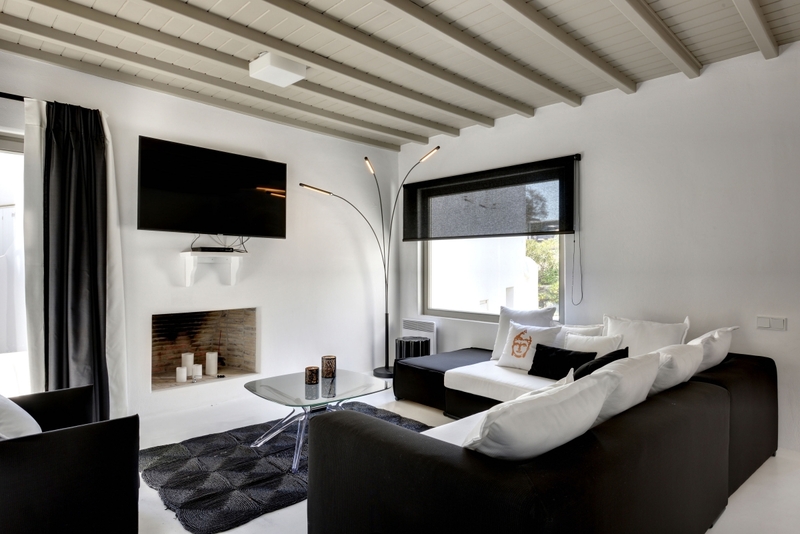 A small staircase leads to the brilliantly white stylishly adorned living room on the left side and the dining area on the right featuring a cozy fireplace, a home cinema as well as all contemporary amenities for a relaxing and enjoyable stay. 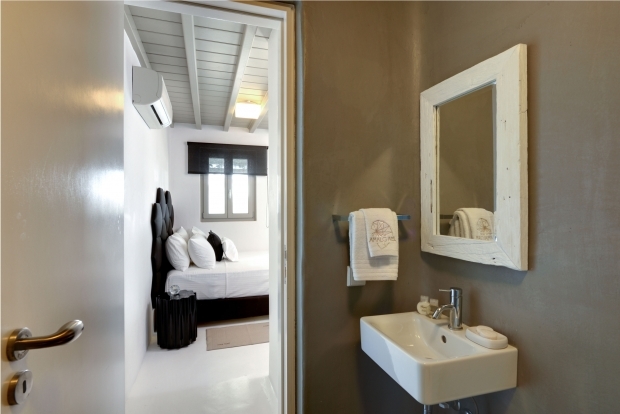 On the same floor a guest WC is available for all villa guests. The spacious open plan kitchen right behind the living area is fully equipped with all modern conveniences and features a small room for food supplies ensuring guests will experience delightful culinary moments. Enveloped by a natural gorgeous landscape Villa Dafni welcomes residents to indulge in the heartwarming environment, enjoy a refreshing swim in the shimmering crystal clear waters of the pool and relax on one of the stylish loungers or sitting areas by the pool as they gaze at the azure endless horizon. As the sun sets over the sapphire Aegean romantic couples can relish a scrumptious dinner by the pool or an evening cocktail at one of the cozy verandas whilst breathing in the aromas of natural herbs and surrender their senses to the gentle touch of the sea breeze. 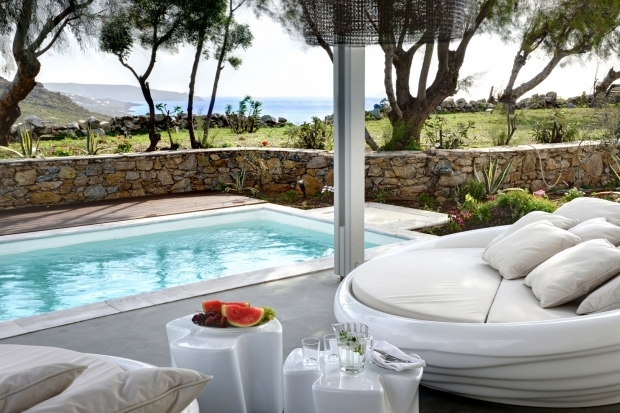 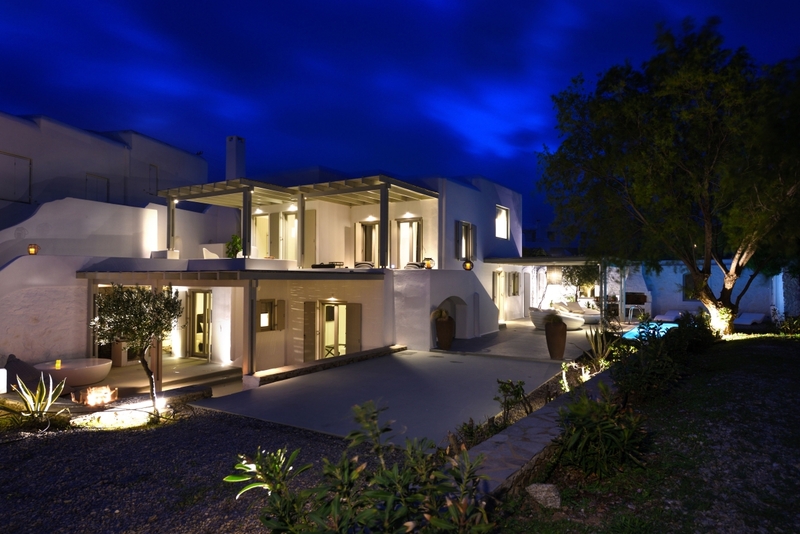 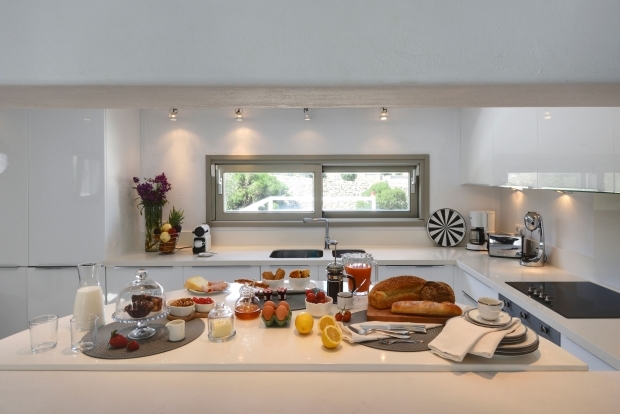 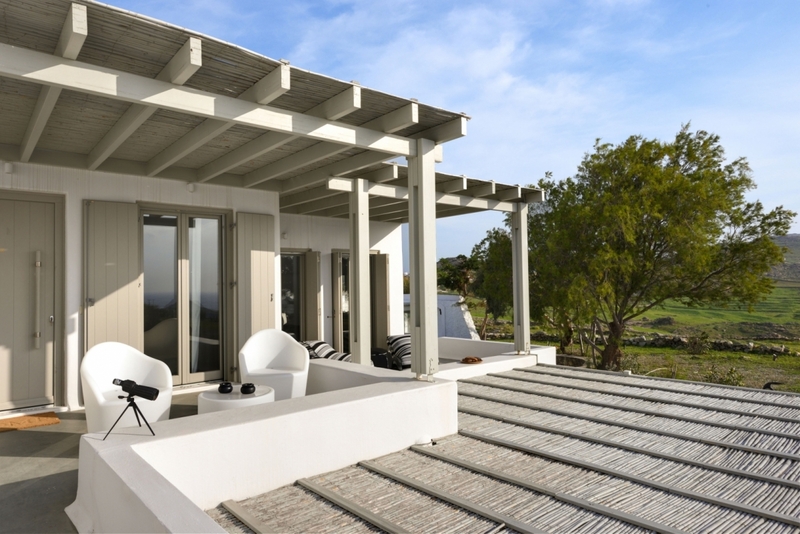 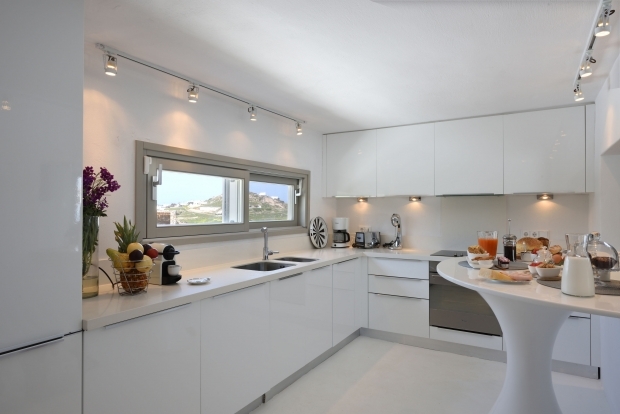 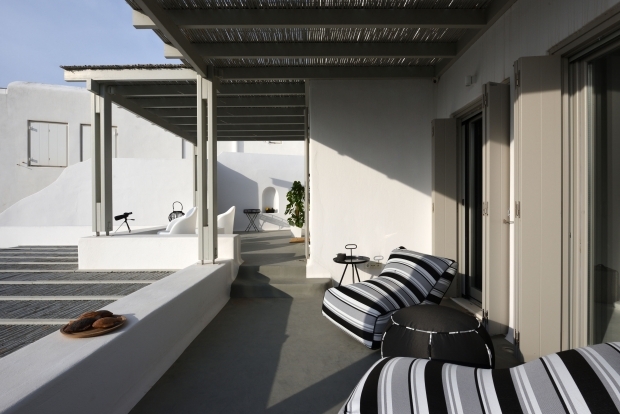 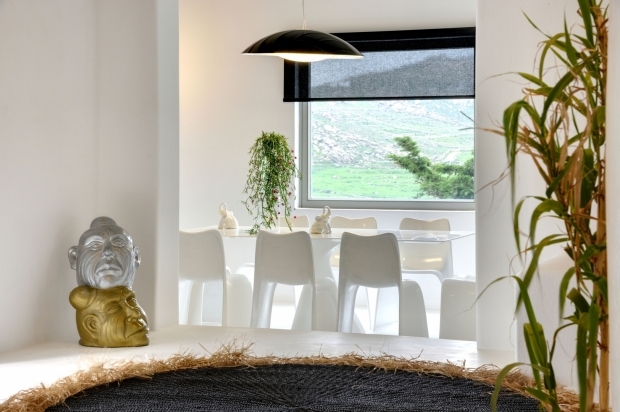 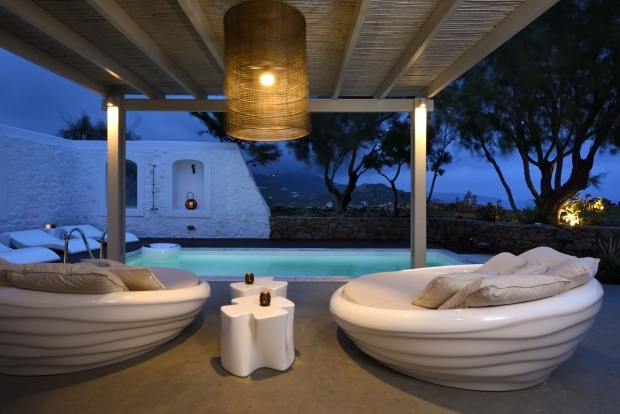 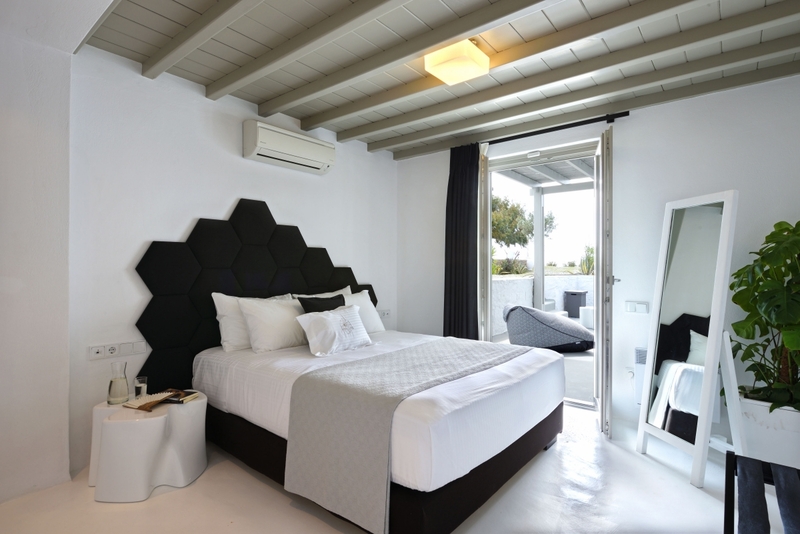 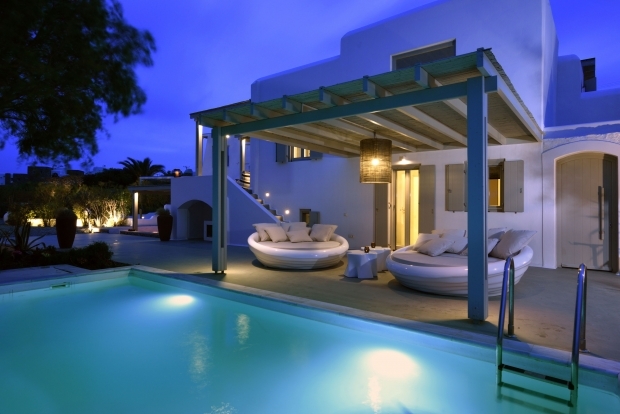 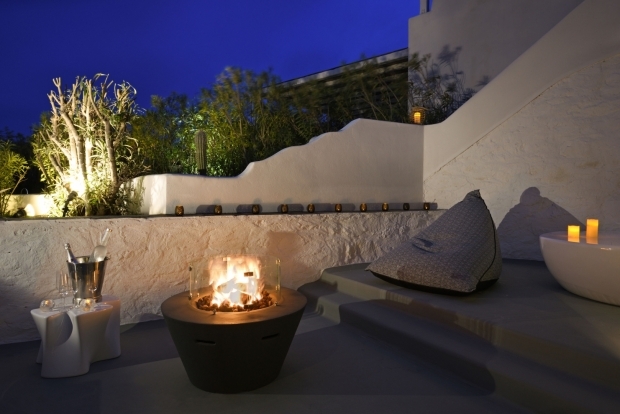 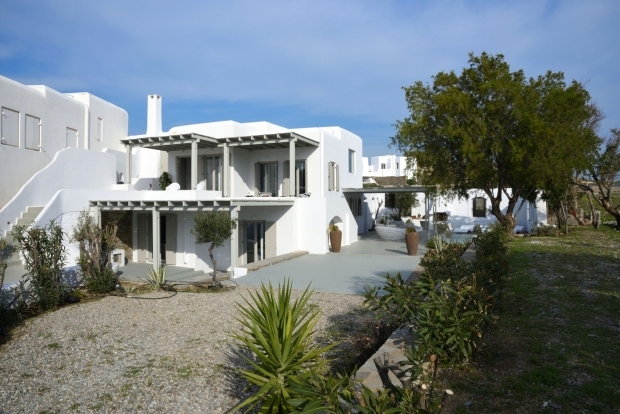 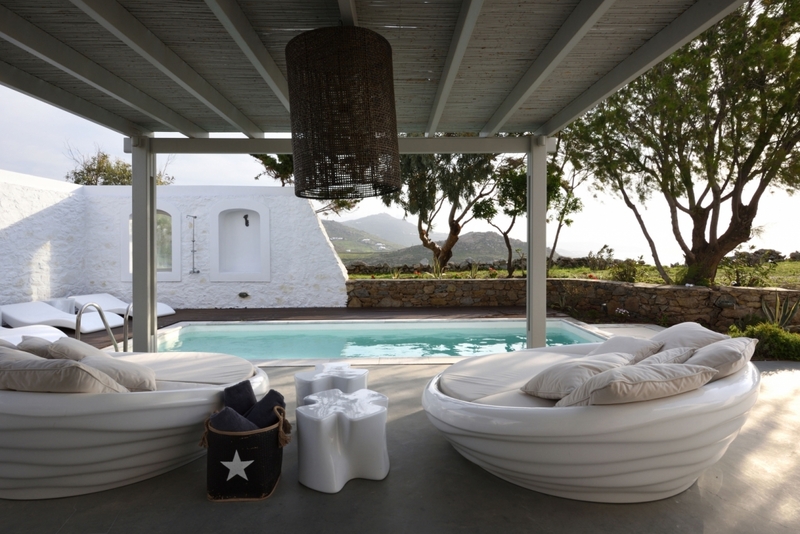 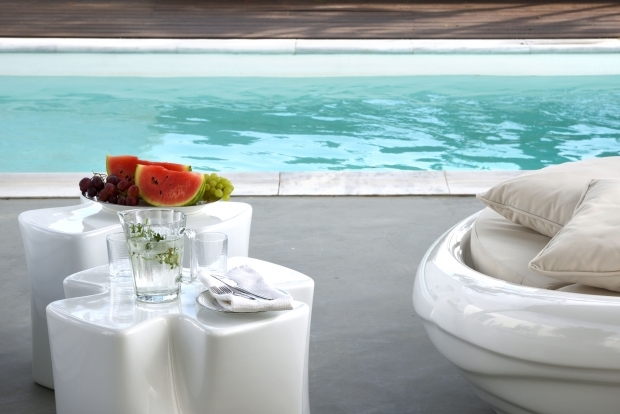 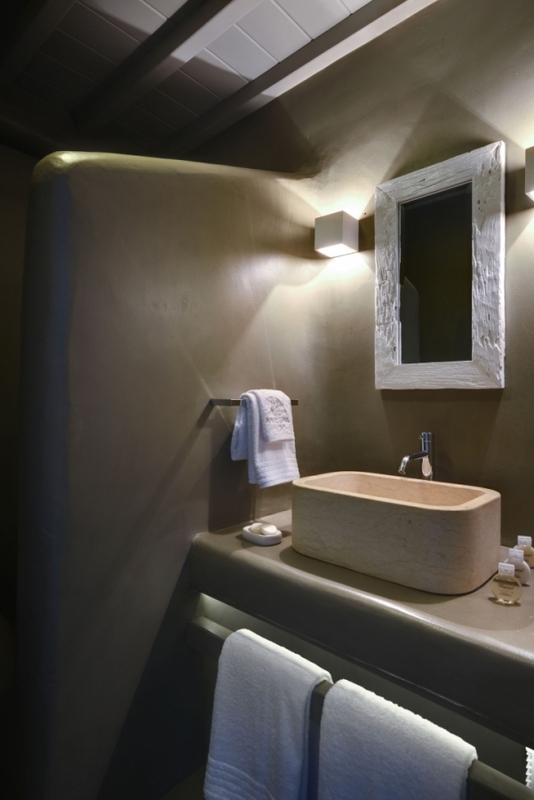 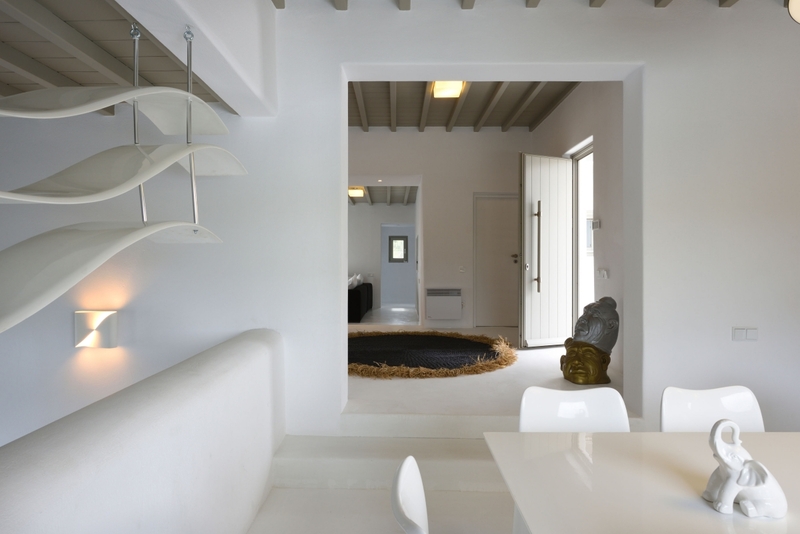 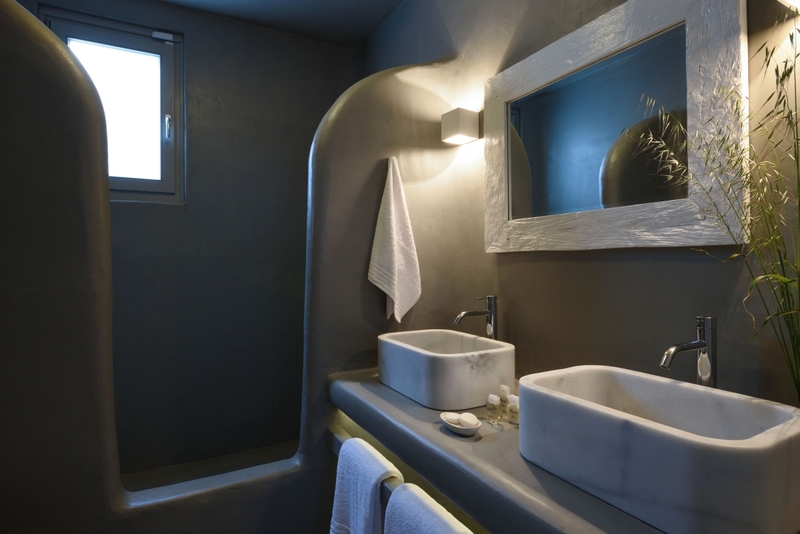 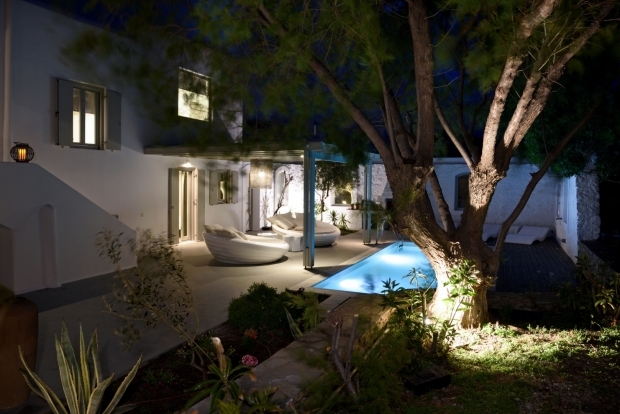 Contact a representative of Fantasia Villas today and enquire about Villa Dafni, one of the luxury villas in Mykonos, or suggestions for more luxury villas for rent in Greece.